Video SEO means optimizing your video for it to rank on top of the search engines by using relevant keywords. Most common platform for companies is YouTube because it is free and the second largest search engine in the world. An added benefit to that is how you can still post your video on your website. Creating a video that caters useful and quality content to the audience should be your top priority. 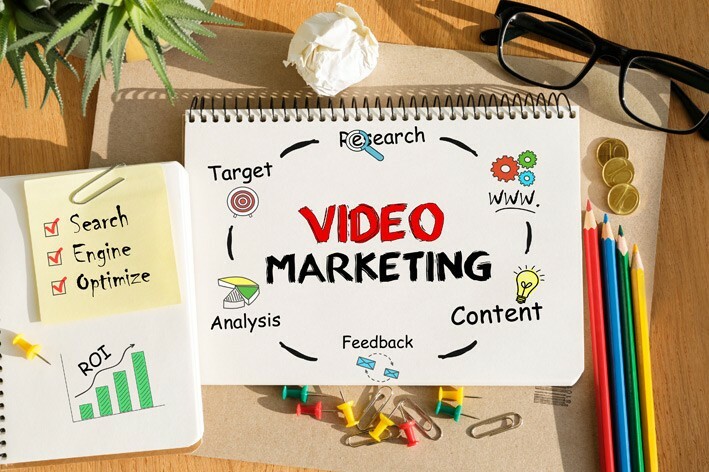 Since, optimized videos bring in more traffic; the factors listed below are some of the optimization tips that you can apply to your videos if you don’t want to hire an SEO agency or an online marketing agency. Determine the reason behind wanting your video to rank before choosing a platform. If you’re less concerned about getting traffic to your website and more focused on general brand awareness, YouTube and Vimeo can suit your need better. Your video’s thumbnail is the first thing your targeted audience will see when it is indexed. Hence, it becomes a deciding factor for the viewers. Focus on making it look compelling, engaging and overall click-worthy. Just how relevant keywords are important to your traditional piece of content, it is as important when it comes to optimization of your videos. Make sure your keywords are relevant and natural. Also, don’t forget to add them in your title, description and tags. Since, part of optimizing your video is having a title that stands out; you should include keywords to cater to the search engines. How you word your title also affects your overall SEO. Consider adding the keyword in the beginning of your title to make it appear natural. Do not forget that the search engine bots cannot actually watch your video, hence the content you have on the page is how they determine the content of your video. Your description is the space where you can add the most valuable and relevant information. This is also where you the best chance to utilize your keywords that can rank your video on the first page. You can’t skip tags when it comes to videos. To have your video categorized and optimized think about your target audience and what keywords and phrases they might use. This way you can also let the bots know how you wish to be categorized. By creating a sitemap you let the bots know you have a video on your website which further helps them in ranking your video. It is the best way to show people that you have recently published a video on your website. The more people notice your video the more natural SEO will come your way. Just like the traditional content, factors like syndication and constant sharing on social platforms help in spreading the video across the web.